Everyone loves Chex Party mix and Muddy Mix around the holidays. 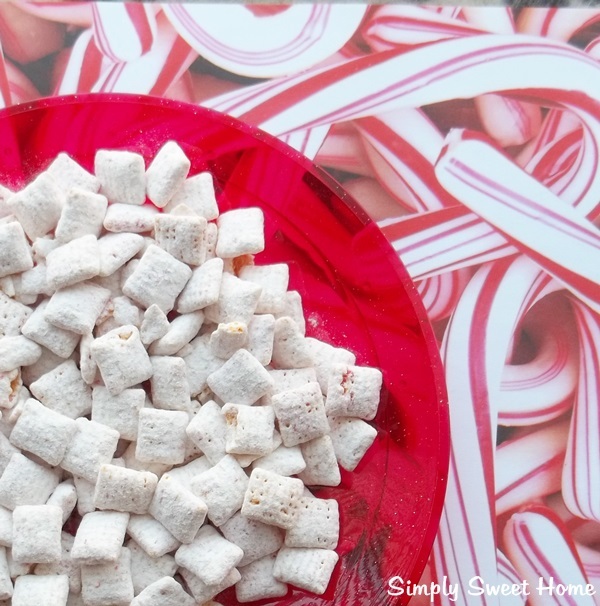 Today we have a fun extra-Christmas-y take on this old time favorite: Peppermint Muddy Mix! It’s pretty easy to make and very delicious!